RFID - Is Disc Golf Ready For This Technology? It’s safe to say that disc golf is primed to take off with all of the new sponsors and growth we’re experiencing, and it’s time to start thinking about the future. That’s exactly what the PDGA has done as of November 17th, 2014, with a rule change relating to discs, stating: “Electronic components may be embedded/inserted with none of its metal components externally exposed.” It’s been almost three years since this rule went into effect, so what’s been keeping RFID out of our sport? How Are Other Sports Using RFID? Let’s explore how Zebra, an RFID sports tracking and solutions company, has implemented a reliable system that has been put into place in sports like football, soccer, and bike racing. Using RFID sensors in conjunction with players and the media, Zebra is providing statistics and feedback that fans can enjoy and coaches are using to improve the game. How can disc golf take advantage of these new technologies and allow them to transform the way our sport works? How Might Disc Golf Use RFID? Imagine what we could do with RFID tags in each disc and use them to mark each boundary, basket, and tee box. There would be no more guessing where a disc went out of bounds, and commentators will forever know what disc was thrown and how far it went. We could have real-time statistics including RPM, MPH, the distance left to the pin, and have beautiful graphics with a mapped flight route after each throw. All of this could be logged right into our phones and then dynamically integrated into UDisc or Disc Golf Metrix tracking. Players would see a huge drop in lost disc penalties, and could even implement auto-tracking cameras that would seamlessly interpolate the disc, player, and basket into one camera frame. All of this data could be used to improve course flow and reduce backups. Live scoring would become an automated process and completely remove the tedious work currently being executed by Marty Gregoire and the generous volunteers of the PDGA. What Are The Costs And Obstacles? It’s important to note that the cost of the RFID chips themselves is less than a dollar per unit, so it’s safe to say that price is not what’s keeping our sport from cashing in on this technology. The true cost is going to be integrating a uniform system across multiple platforms including discs, mobile devices, courses, and the web. The development of this network is no small feat and is our sport’s primary obstacle if we wish to take advantage of the RFID tech market. Perhaps one way to overcome the costs of an RFID disc golf infrastructure would be to offer an in-depth statistic tracking system behind an annual membership fee. It might even be a huge incentive to keep more people current with the PDGA if the RFID network was included with and integrated into each membership and player info page. Give us your thoughts and suggestions in the comment section about how you think this idea might revolutionize our sport! I don't see any downside to this. Just helping players find their discs would be huge, besides all the metrics mentioned above. I would gladly pay extra for discs that featured this technology. Can not wait it to kick in, there are so many possibilities to really make it more commercial and entertaining. Good idea, but players may get problems when travelling at the security check at airports. Round things including an electronic chip might look suspect or even force an alarm? Having worked for Homeland Security I would say that this may cause them to get inspected, but not confiscated. Are chips programmable? Could anyone track my discs? RFID as a way to tag a disc with info about the weight, manufacture, style, owner, etc is totally feasible. Passive RFID as a way to find lost discs or track flight? highly impractical. Unfortunately the range of passive RFID devices (like the kind in department stores) is only a few feet. The newest passive RFID technology is capable of up to a dozen yards, but the frequency doesn't perform well in foliage. 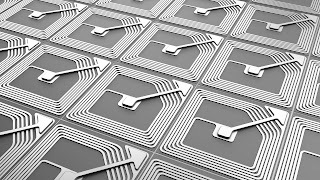 Active RFID and active devices could be used to do much of what you described, but that would add significant amounts of weight (mostly in the batteries that would be needed to power it). Additionally active devices will cost significantly more than the disc. Having said all that, I truly believe that those goals are worthy of chasing anyway! I think we just have to make a few more strides in technology before it will be feasible. Having looked at zebra's solutions, It looks like they are tracking data which is then later retrieved from the equipment. This allows the NFL to track who was where, when and give data to teams about performance. But none of this is real time and for the reasons above still wouldn't be feasible for real time data. Still, could be useful for Pro's and AM's alike to improve their form, analyze their shots, etc. Well said Ben. I feel like the concept is exciting, but I'm not sure people understand how RFID technology works. If they did, they might see that RFID is probably not the best platform for bringing the concept to life. 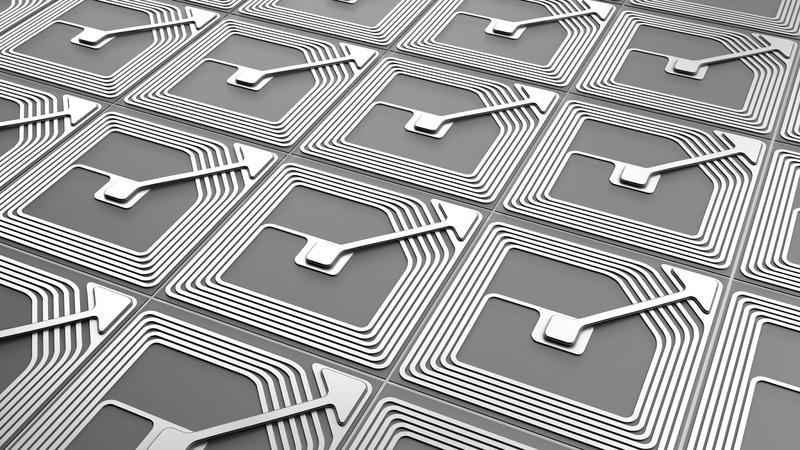 In the case of passive RFID, the tag has no battery (and is therefore passive) because the power required to emit a signal is generated by the electromagnetic field generated by the antenna used to detect the tag. This creates a limitation in the read range because the tag has to be fully within the antenna's field to be energized, and the field around the antenna is usually limited to a couple meters at most. To generate the detection field, the antennae require a power source. To make passive RFID work on a disc golf course, a MASSIVE amount of antenna infrastructure would have to be installed, at an exorbitant cost. And like Ben also said, active RFID wouldn't work because the tags need a power source, and adding a battery to a disc is a weight issue. What about the Tobu Disc line? There are some listed on eBay for about 40 bucks a piece and they are advertising that with the app you won't be losing discs anymore. Perhaps they have access to newer tech. Albeit, at 40 bucks a disc, they obviously cost more than a buck a disc. Just checked them out. I was able to order a full driver setup (with the electronics) from the company with shipping for 32.00 USD. I am curious how well they fly. It's crazy they can be ordered down to 169g with electronics. Thanks for the info on company name. I don't realize what to state aside from that I have delighted in perusing. In the past few decades there has been a revolution in computing and communications, and all indications are that technological progress and use of information technology will continue at a rapid pace. Accompanying and supporting the dramatic increases in the power and use of new information technologies has been the declining cost 508 compliant communications as a result of both technological improvements and increased competition. According to Moore's law the processing power of microchips is doubling every 18 months. These advances present many significant opportunities but also pose major challenges. Today, innovations in information technology are having wide-ranging effects across numerous domains of society, and policy makers are acting on issues involving economic productivity, intellectual property rights, privacy protection, and affordability of and access to information. Choices made now will have long lasting consequences, and attention must be paid to their social and economic impacts.